Last week, the St Cloud V.A. held a community round-table event to discuss the serious issues that are faced by returning soldiers. Other Veterans and elected officials spoke at the event as they tried to bring awareness to this issue. There was a positive turnout and those involved hope that many more concerned citizens will show up to voice their support at the next discussion, which is on April 21, 2008. Thanks to all that are involved with this important issue. The happenings at Virginia Tech over the past 24 hours brought back strong memories of September 24th, 2003 here in the Land Of ROCORI. It's been over three years since the tragedy took place that will forever change how ROCORI High School is perceived in the eyes of the world. Three young men lost their lives that day, two died and one was sentanced to life in prison. Yesterday, the image of Virginia Tech also changed for eternity. 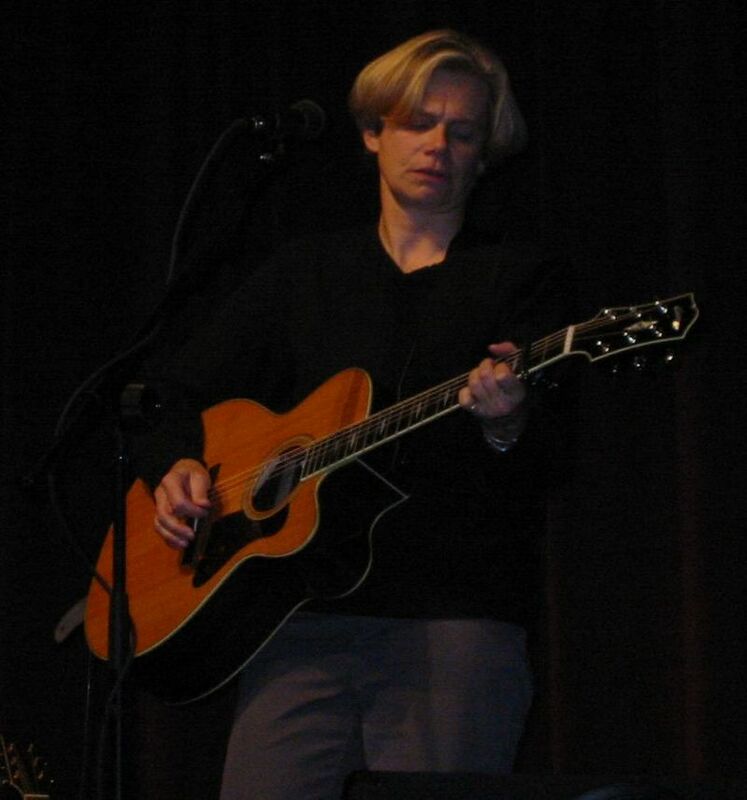 A few weeks after the tragedy, on Sunday afternoon, November 2nd, 2003, Grammy-nominated singer and songwriter Cindy Bullens performed for about 125 persons who attended a free concert held at the Rocori High School Auditorium. Bullens sang her songs and in between told her story of deep sadness, anger, rage, guilt, and remorse after the loss of her daughter Jessie. Maybe in publishing this story one more time, someone, somewhere, will take a tiny step down the road toward peace and understanding through the wrenching turmoil of the grief process. This is both the story that lead up to Cindy's performance and the interview on grief and loss that took place while she was here. My sleep was very restless the night of the tragedy and I woke earlier than usual that next morning. (about 4:30 A.M.) Our two children had been in Cold Spring Elementary when the gun fire rang out at Rocori High School just across the street. Even though their safety was never in question, I felt like someone had just pulled the rug out from under my feet. Bette and I moved our family here from Little Falls about 5 years ago. Having been a member in the Cold Spring Maennerchor for the past 15 years, we had few reservations about moving to town. As I commuted to and from practices every Wednesday night over a 10 year span, I came to know Cold Spring as a place where people truly care and look out for one another. Bette, a teacher in the Little Falls School District, knew the Rocori School District to be among the best in Central Minnesota. Since we moved to town hardly a week goes by that either Bette or I can tell a “ONLY IN ROCORI” story. Maybe its about the young girls at the bakery who opened up the doors to me in the middle of the night so I could pick up Bette’s birthday cake that I forgot to get earlier in the day. Or how about the Easter Rabbit who answered our son Samuel’s letter request, “No candy this year Mr. Easter Rabbit, could you instead find a way to get me $5.00? I’d like to buy a gift for my Mom.” And guess what showed up in the mail the day before Easter. A personal letter addressed to Samuel from the Easter Bunny with a crisp new 5 dollar bill wrapped inside. Before Bette and I started our own business, I worked for an internet company who built web sites for over 1500 newspapers all across the company. I would often speak to newspaper groups and as a part of my introductions, I would describe Cold Spring as the place where “Father Knows Best” raised his kids. So in the dark of early morning, the day after Aaron Rollins and Seth Bartell were shot by their fellow classmate Jason McLaughlin, I had mentally fallen down, face first, onto the hard granite floor of our entry way. Something like this could never happen here in Cold Spring. I was desperate to find some way to get up off the floor and do something. There had to be a place I could go to, where similar events had occurred. Somewhere, somebody would have a magic crystal ball that would prevent this from ever happening again. My journey took me to the internet and a search into the tragic massacre at Columbine High School in Colorado. I was soon exploring a number of sites, many dedicated to the 12 students and 1 teacher who lost their lives on April 20th, 1999, during the Columbine tragedy. At one of the sites my eyes honed in on the following words, “Wonderful, comforting music!” The story described the grieving parents of Columbine receiving a special gift. A music CD by Cindy Bullens called “Somewhere Between Heaven and Earth.” The song writer and singer created songs about the life and death of her precious daughter Jessie who died of Hodgkin’s disease at age 11 in 1996. The story went on to describe the many tapes and caring items they had been sent from people all over the world, but it was the CD from Cindy Bullens and the power of her lyrics that meant the most to the Columbine survivors. Cindy’s songs captured the loss of her daughter, its aftermath, and the wide range of emotions that followed. The web site included a sample of lyrics. My search now shifted to find out as much as I could about Cindy Bullens. At her personal site, www.cindybullens.com, I was able to not only learn about this song artist and performer, but to also listen to much of her music. By now I was in tears and deeply sobbing. Buried within Cindy’s site I discovered a single E-mail address. I wasn’t sure who would receive the message but I knew I had to try to connect to Cindy to see if she had heard about Cold Spring and the tragedy we were experiencing. Yes, I spilled my guts that morning, figuring that at the very least the process of putting my thoughts and feelings down on paper might in some way be therapeutic for my grieving and healing process. I had no idea what was about to unfold. At 4:22 P.M. that afternoon there was this response in my E-mail box. Where do I begin? Your letter, of course, touched me to the core. Yes, I was so saddened to hear of your tragedy. I saw it on the news and was devastated yet again. My concert for the Columbine families was the most profound I have ever done. I am still in contact with several families there and see them when I get to Colorado. Our shared experience in dealing with the deaths of our children (though very different circumstances) is a strong bond. My CD “Somewhere Between Heaven and Earth” is a gift from my daughter Jessie. There is absolutely no doubt about it--her incredible spirit inspired that music to help heal me--and in turn, help heal many others. What exactly I can do for you--I don’t know. But whatever I can do--I will. You and your community are in my thoughts and prayers. With the receipt of this E-mail, what was initially thought of as a moment of emotional desperation, soon evolved into an effort to bring hope and healing to the people of Rocori. The Rocori School Administration gave quick approval to the idea of holding a concert. Bette and I then went about gaining the community support and funds to bring Cindy Bullens to Cold Spring, Minnesota. 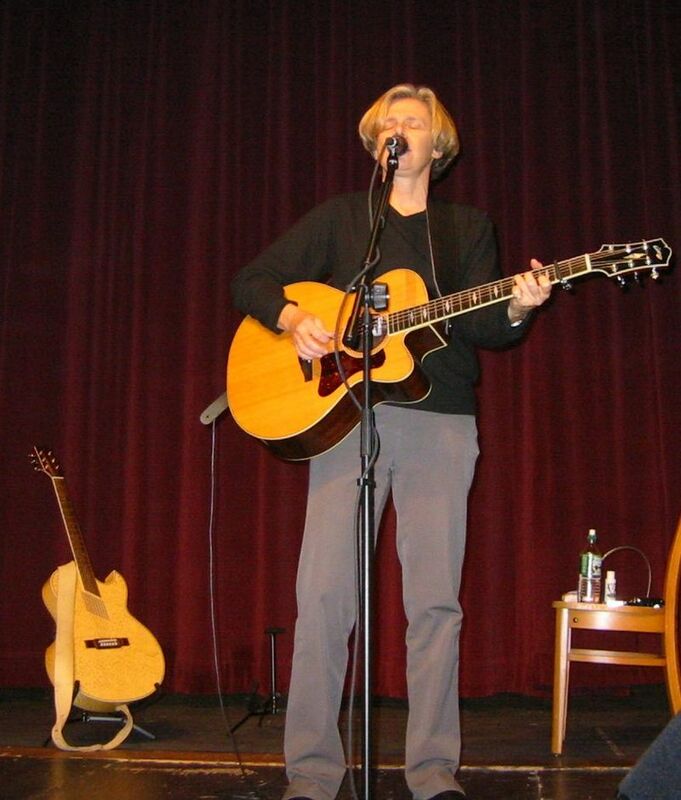 On Sunday afternoon, November 2nd, Cindy Bullens performed for about 125 persons who attended a free concert held at the Rocori High School Auditorium. Bullens sang her songs and in between told her story of deep sadness, anger, rage, guilt, and remorse after the loss of her daughter Jessie. “In the first few years, I couldn’t fathom being happy again. Music was the only way that I came to eventually expressing my grief.” said Bullens. During an interview with Cindy after the concert, she shared some thoughts and experiences that she hoped could be helpful to those who are faced with a profound loss in their lives. She began by explaining what a humbling honor and privilege it was to sing and speak with the people of Rocori. She could not imagine the pain and suffering the community must be experiencing. The shootings were such a tragic and unexplainable event that everyone in the community was in one way or another affected by. After the loss of her 11-year-old daughter Jessie, who died of Hodgkin’s disease in March of 1996, Cindy Bullens, a singer and songwriter from Portland, Maine, has become what could described as a “Singing Crusader” for the cause of understanding and overcoming loss and grief. The lyrics of her songs resonate loud and clear to anyone struggling with death or any kind of profound loss. Cindy’s own journey to understanding and eventually coming to terms with her grief was a long and difficult one. After extensive bouts with depression and total isolation, Cindy’s recovery began to unfold as her love for her daughter and her struggle to live without her came out in a series of songs she wrote over a period of 2 years. “Her death has changed every cell in my body, every part of my being –and has certainly changed the way I think about the world. I now try to live each moment as it comes and to infuse each moment with some kind of meaning.” said Bullens. 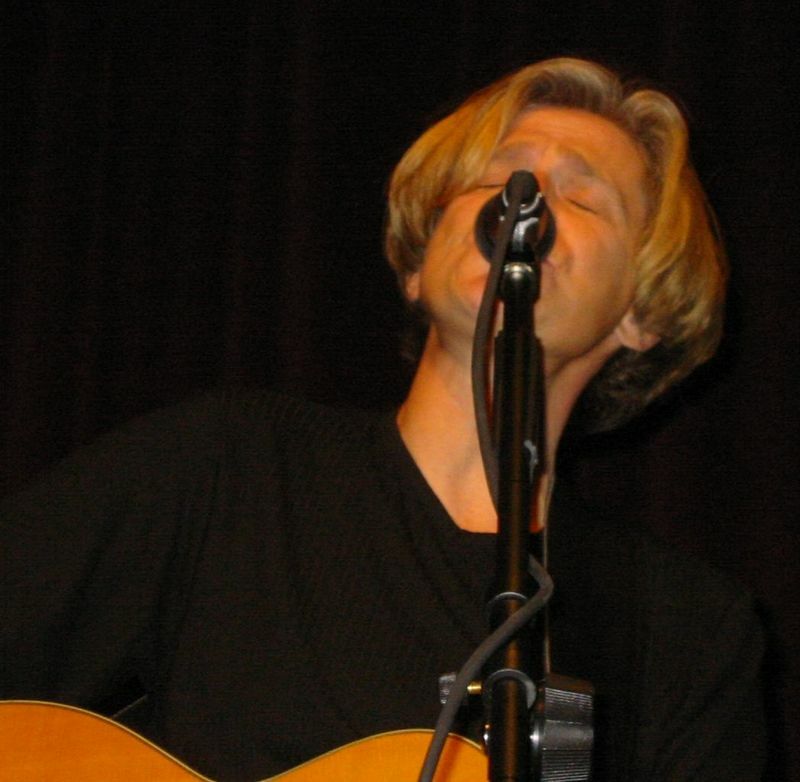 In September 1999, Cindy Bullens brought out into the public her 10 song CD “Somewhere Between Heaven and Earth”. Since their release, Cindy has found hope again for the future. Through people’s positive and deeply emotional reactions to this music, Bullens has been able to turn her own tragedy into something that can be healing to others. “The condition of the human race is that we’ve all experienced loss: a spouse, a sibling, a friend, a relationship, a job, some loss in which we as human beings have had to let go of somebody or something. I watched my child take her last breath – there’s nothing else that could be so painful” said Bullens. “I’ve learned how important it is to have the support of family, friends and community. People need to understand that the grief process is unique and different for every individual. But all of us have a need for someone to be there, someone who will be there to listen when the time is right for the grieving individual to talk. There is relief and release in having permission to show your grief and your pain – and there is hope in that knowledge” explained Bullens. “But no one has the right to tell me or any other person when or where my grieving process should come to an end. I will never totally recover from the loss of my daughter, but I will continue, in her memory, to try to contribute positively as a part of the human race.” exclaimed Bullens. For many, self-help groups that share a common experience with the loss of a partner, child, or loved one can provide great comfort and healing. When other individuals share their loss and grieving experience, it helps everyone in the group realize they are not alone. Many times people in such groups are more understanding than family members or friends who think the mourner should be moving on with their life. In addition to the afternoon concert Cindy Bullens did on Sunday, November 2nd, she sang and spoke during the 10:30 A.M. service at Peace Lutheran Church in Cold Spring. That evening she attended the Seth Bartell Family fund raiser in Richmond and on Monday morning, November 3rd, she did a video interview addressing death and grieving at Bobby Vee’s Rock House Recording Studio in St. Joseph. This is a story about a local non-profit organization. Bridging has been in the Central MN area for 2 years now. They specialize in helping get families back on their feet. They have everything in their warehouse from bed and couches to blankets and lamps. A sample of 36 Parables Work. Very thought provoking. Found is based on the Parable of the Lost Coin (Luke 15:8-10). In this film, a wanderer has lost something of great value to him. Overcome, he searches frantically for his most prized possession. Running Time: approx. 5 min. 8Or suppose a woman has ten silver coins and loses one. Does she not light a lamp, sweep the house and search carefully until she finds it? 9And when she finds it, she calls her friends and neighbors together and says, 'Rejoice with me; I have found my lost coin.' 10In the same way, I tell you, there is rejoicing in the presence of the angels of God over one sinner who repents." Earlier this fall, a group of local men and women were called up to serve their country in Iraq. This is the story of their official send-off. We must not forget the sacrifice they are making that we might still enjoy the freedoms and liberties of our daily lives. Please remember them this holiday season. Pray for them and send them your letters and care packages. Tomorrow it will be two years since the tragedy took place that will forever change how ROCORI High School is perceived in the eyes of the world. Three young men lost their lives that day, two died and one was sentanced to life in prison.